The main objective of this volume was to provide the criteria with which to evaluate agriculture’s capacity to produce what humanity needs (not just raw materials, but also agro-ecosystem services, landscape etc. ), without an excessive impact on the environment. The discussion is held on a global level, taking into account the substantial differences that exist between developed and developing countries. 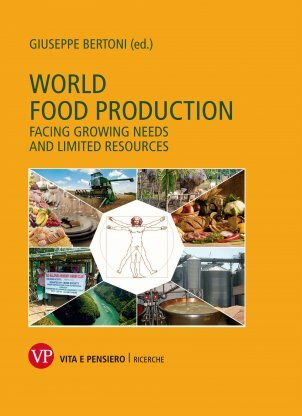 The first of the three sections presented in this volume provides an estimate of the food and water needed to satisfy the nutritional demands of the current and future world population, meeting the demands in terms of quantity and quality. With regard to the first the discussion tackles losses in agricultural produce related to foodstuff perishability and limits of the production systems. The second section analyses the positive and negative impact of agriculture – with or without animals – on the agro-system (soil, water and biodiversity), on the territory (equilibrium between the rural and the urban, landscape conservation) and on energy availability; the role of women, family farms and organic agriculture in reducing the impacts are analyzed in detail. The last section explores agricultural production: field crops and fruit trees, animal farming (monogastrics and ruminants), food processing and food conservation. The essential role of scientific-technical innovation in all production sectors is well highlighted, as is the need for well structured production networks (associations and cooperatives), as such networks are the catalysts for an inclusive development that guarantees the environmental, economic and ethical-social sustainability of the agro-systems in both developed and developing countries. Giuseppe Bertoni is Professor of Animal Husbandry at the Faculty of Agriculture, Food Production and Environment at Università Cattolica del Sacro Cuore, Piacenza, Italy. Director of the Institute of Zootechnics from 1996 to 2012 he has taught Animal Physiology and Physiopathology and is the author of more than 500 publications. He is a member of the Ministry for Health’s Technical Committee on Feedstuffs and was previously a member of the board of the Università Cattolica del Sacro Cuore and of the European Association of Animal Production.